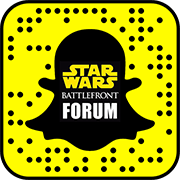 Battlefront videos from our YouTube channel that cover and touch upon different aspects and elements of the game. We will discuss the maps, weapons, news, or just some of the latest updates to the game. Besides our videos, we will also have some clips that revolve around Star Wars in general. So if you’re looking for something to watch then stop by our channel. You can help support us by subscribing to our channel, in which we would really appreciate. Your support will help us to create more quality videos that you and the rest of the community can enjoy. So do us a little favor and click the little subscribe button on our YouTube page or in the upper right-hand corner of this page. Please leave us a comment below and leave your feedback on our videos. You can also stop by our forum and share your thoughts as well. We welcome all new people and thank you again for subscribing and watching our videos.